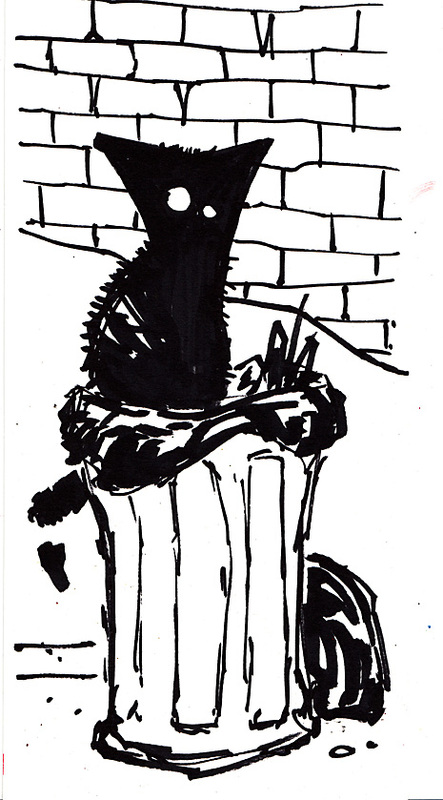 Here's a little black zombie cat sitting on the trash ... all done with a big fat black sharpie and obviously no pre thought. 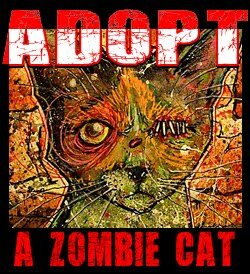 It's a bit indicative of my life and situation right now ... trash ... garbage ... just waiting for the good times to show up again like this zombie cat is waiting for another human to walk by. The wait might be long but it's always worth it.